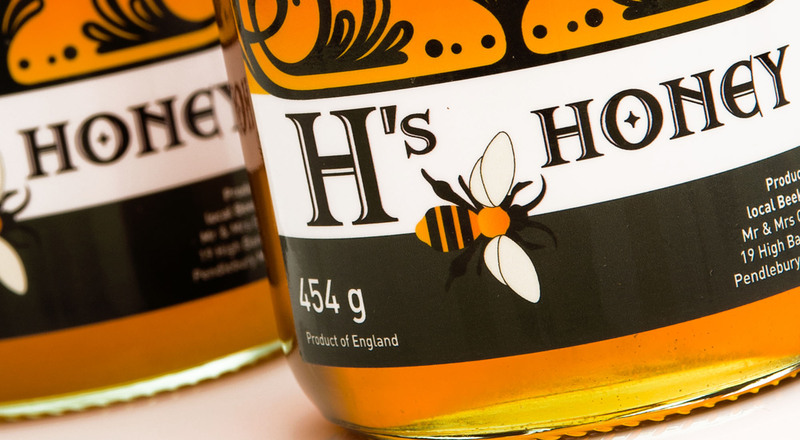 H’s Honey is locally produced honey, made here in Salford. 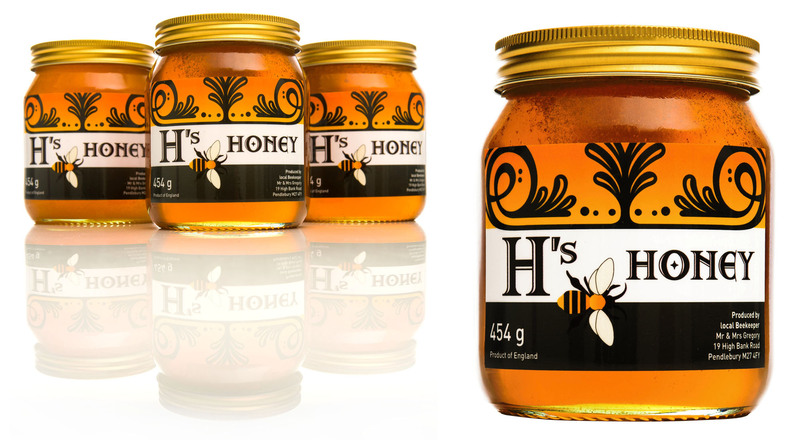 Previously the honey product’s jar label design was simply white labelled but they required a label design creating to launch into the farmers markets. We created the logo and a range of design options were developed for the jar labels and tamper strip. 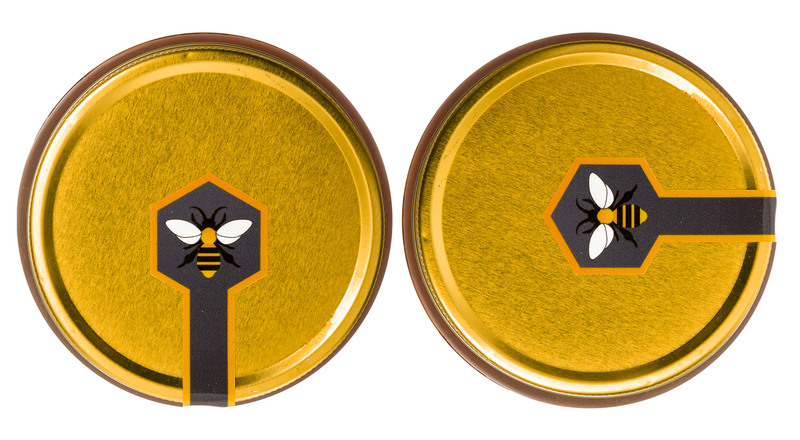 The design mainly focused on bees – which ties in nicely with the famous worker bee which represents the Salford city Manchester! You can see our other packaging projects on our work page by following the link! If you would like to find out more about our packaging and label design please contact us.